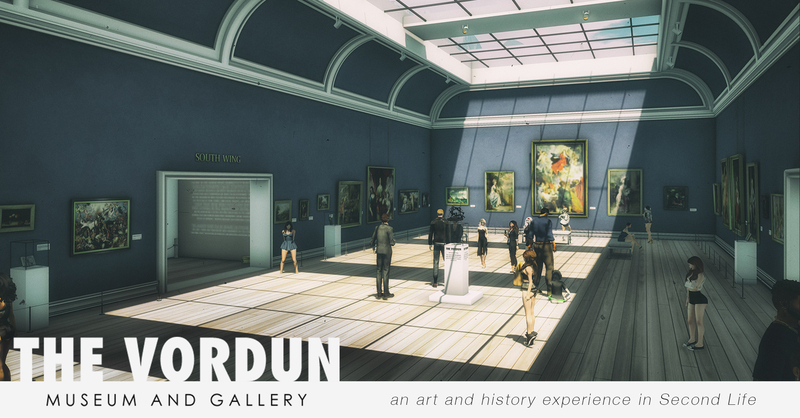 The Vordun Museum and Gallery is an art and history experience in Second Life. Using experience keys, audio tours, a variety of real life and Second Life art and exhibits with original construction and design, The Vordun brings to Second Life a truly unique space. Much research was done in the designing and curating process at The Vordun. One of the main goals is to give museum-goers a real museum/gallery experience. Using experiences and a HUD, The Vordun has eliminated “click here” signs, landmark buttons, or other common Second Life interactions that may clutter the museum thus giving it the look and feel of a real museum.